위성 항법 시스템에서 제1 시점에서 수신되는 기만 신호를 처리하여 반송파 위상값을 포함하는 측정 데이터를 생성하고, 제1 시점의 측정 데이터를 토대로 항기만 신호를 생성하고자 하는 제2 시점에 해당하는 기만 신호의 특성을 예측한다. Deception signals to process the deception signals received at a first time in a satellite positioning system generates the measurement data including a carrier phase value, corresponding to a second time to generate a signal only Henderson based on the measurement data of the first point, It predicts the property. 그리고 예측된 기만 신호의 특성을 토대로 항기만 신호를 생성한다. And it generates only Henderson signal based on the characteristics of the prediction signal deception. 본 발명은 위성 항법 시스템에서 기만 신호를 예측하는 방법 및 그 장치에 관한 것이다. The invention relates to a method and apparatus for predicting the deception signals from a satellite navigation system. 최근 GPS(global positioning system)를 이용한 위성 항법 시스템의 사용이 산업 전분야에서 이루어지고 있는데, 이러한 위성 항법 시스템의 활용이 빈번해지는 반면 해당 시스템을 교란하기 위한 악의적 의도도 또한 발생하고 있다. The recent use of a satellite navigation system using GPS (global positioning system) is made from all areas of industry, and become the other hand, the use of satellite navigation systems such frequent malicious intent to disturb the system also occur. 기만 신호는 수신기에 거짓 정보를 제공하는 신호로서, 측정값 및 데이터를 조작하여 수신기로 제공하여, 수신기가 이러한 거짓 정보를 인지하지 못하고 항법 해를 생성하도록 하여, 실제 위치가 아닌 다른 위치를 생성하도록 하는 것이다. Deception signal is a signal for providing false information to the receiver to provide a receiver by operating the measuring values ​​and data, and the receiver to generate a navigation solution not aware of these false information, to generate a location other than the actual location to. 따라서 이러한 기만 신호에 대해 대응할 수 있는 기술이 요구되고 있으며, 대응 기술 중 하나로 항기만 신호를 생성하여 기만 신호를 상쇄시키는 기술이 연구되고 있다. Thus, and this technique is required to accommodate for such deceit signal, one of the corresponding technique has been studied a technique for canceling the deception signals to generate a signal only Henderson. 기만 신호를 제공하는 기만기가 목표 수신기를 기만하기 위하여 측정값을 변화시키는 방법으로 코드 및 반송파 주파수를 조작할 수 있다. Group to provide a deception deception signals can operate the code and the carrier frequency in a manner which changes the measured value in order to deceive the target receiver. 이러한 기만 신호를 제거하기 위해서는 기만 신호가 가지고 있는 코드 및 반송파 주파수를 정확히 추적하고 예측하여 항기만 신호를 생성해야 한다. In order to eliminate this deception signals accurately track the code and carrier frequency with a signal having deceptive and predictions must generate only Henderson signal. 그런데 기만 신호를 처리하여 해당 신호의 파라메터를 추출하는 시점과 추출된 파라메터를 이용하여 항기만 신호를 생성하는 시점에 차이가 발생한다. However, by processing the signal deception occurs a difference in the time of generating only Henderson signal using the extracted parameters and the time for extracting the parameters of the signal. 왜냐하면, 기만 신호의 정보를 처리한 시점은 새로운 항기만 신호를 생성하기 위한 시점보다 과거의 시점이 되기 때문이다. Because the time of processing information from the deception signals is due to the previous point in time than the time for generating a signal only new Henderson. 그러므로 과거에 측정된 정보를 토대로 미래에 사용되는 기만 신호에 대한 항기만 신호가 생성됨으로써, 기만 신호의 효과적인 상쇄가 이루어지지 않는다. Therefore, by being based on the information measured in the past, but a signal is generated Henderson for deception signals to be used in the future, the effective offset of deception signals does not occur. 본 발명이 해결하고자 하는 기술적 과제는, 항법 시스템에서, 기만 신호 제거를 위한 항기만 신호를 생성하는 시점에 대응하는 기만 신호를 정확하게 예측할 수 있는 방법 및 그 장치를 제공하는 것이다. Technical problem to be solved by the present invention, in the navigation system, to provide a method that can accurately predict the deceived signal corresponding to a time for generating a signal only Henderson for deception signals and remove the device. 위의 기술적 과제를 위한 본 발명의 특징에 따른 기만 신호 예측 방법은, 제1 시점에서 기만 신호의 반송파 위상값을 포함하는 측정 데이터를 생성하는 단계; Deceit signal prediction method in accordance with aspects of the present invention for the technical problem above, the step of generating the measurement data including a carrier signal phase value of deception in the first time; 상기 제1 시점의 측정 데이터를 토대로 항기만 신호를 생성하고자 하는 제2 시점에 해당하는 기만 신호의 특성--상기 특성은 반송파 위상 예측값을 포함함--을 예측하는 단계; Deception characteristics of the signal for the second time to generate a signal only Henderson based on measurement data of the first time-step of predicting said characteristic comprises a carrier phase predicted value; 및 상기 예측된 기만 신호의 특성을 토대로 항기만 신호를 생성하는 단계를 포함하고, 상기 제2 시점이 상기 제1 시점 이후에 위치된다. And a step of generating a signal only Henderson based on the characteristics of the predicted deceit signal and the second time point is located after the first time point. 또한 상기 기만 신호 예측 방법은 상기 예측된 기만 신호의 특성을 검증하는 단계를 더 포함할 수 있으며, 이 경우, 상기 항기만 신호를 생성하는 단계는 상기 예측된 기만 신호의 특성에 대한 검증이 이루어진 경우에 상기 항기만 신호를 생성할 수 있다. Also, when the deceit signal prediction method may further comprise the step of verifying the nature of the predicted deception signals, in this case, the step of generating only the Henderson signal comprising verification of the properties of the predicted deception signals in only the Henderson may produce a signal. 상기 검증하는 단계는 상기 제2 시점에서 수신되는 기만 신호에 대한 반송파 위상값을 포함하는 측정 데이터를 획득하는 단계; Wherein said verification comprises the steps of: obtaining measured data including the carrier phase value for the deceit signal received at the second time point; 상기 제2 시점의 반송파 위상 예측값과 상기 제2 시점의 반송파 위상값의 차이값을 획득하는 단계; Obtaining a carrier phase difference between the predicted value and the value of the carrier phase value of the second point in the second time point; 및 상기 차이값이 미리 설정된 허용 임계값보다 작은 경우에, 상기 예측된 기만 신호의 특성이 정상적으로 예측된 것으로 검증하는 단계를 포함할 수 있다. And in the case where the difference value is less than a preset acceptable threshold value, it can include the step of verifying that the characteristic of the predicted deception signals properly predicted. 상기 항기만 신호를 생성하는 단계는 상기 차이값이 미리 설정된 허용 임계값보다 작은 경우에, 상기 제2 시점의 측정 데이터를 토대로, 제3 시점에 해당하는 기만 신호의 특성을 예측하는 단계; Generating only the Henderson signal predicting the properties of deception signals if smaller than the allowable threshold, the difference value is preset, based on the measurement data of the second point, the third point; 및 상기 제3 시점에서 상기 예측된 기만 신호의 특성을 토대로 항기만 신호를 생성하는 단계를 포함할 수 있으며, 상기 제3 시점이 상기 제2 시점 이후에 위치될 수 있다. And may include the step of generating a signal only Henderson based on the characteristics of the predicted signal from the deception of the third point, the third point can be located after the second time point. 한편 상기 측정 데이터는 상기 기만 신호에 대한 도플러 주파수를 더 포함할 수 있다. On the other hand, the measurement data may further include a Doppler frequency for the deception signals. 이때, 상기 예측하는 단계는 상기 측정 데이터의 도플러 주파수를 토대로 상기 제2 시점에 해당하는 도플러 예측값을 생성하는 단계; In this case, the step of the prediction step of generating a Doppler prediction value corresponding to the second view point on the basis of the Doppler frequency of the measurement data; 및 상기 제1 시점의 측정 데이터와 상기 도플러 예측값을 토대로, 상기 제2 시점의 반송파 위상 예측값을 생성하는 단계를 포함할 수 있다. And based on the measurement data and the Doppler prediction value of the first time, it can include a step of generating a carrier phase predicted value of the second time point. 이외에도 상기 기만 신호 예측 방법은, 상기 제1 시점에서 기만 신호로부터 위성 궤도력 정보를 포함하는 항법 데이터를 획득하는 단계를 더 포함할 수 있으며, 이 경우, 상기 도플러 예측값을 생성하는 단계는 상기 항법 데이터를 토대로 제1 시점의 도플러 주파수와 상기 제2 시점의 도플러 주파수를 각각 산출하는 단계; In addition to the deceived signal prediction method, wherein the may further comprise the step of obtaining the navigation data including satellite ephemeris information from the deceived signal in the first time, in this case, the step of generating the Doppler prediction value is the navigation data a step of calculating, based on the Doppler frequency and the Doppler frequency of the second point in the first time point respectively; 상기 산출된 제1 시점의 도플러 주파수와 상기 제1 시점에 획득한 상기 측정 데이터의 도플러 주파수를 토대로, 도플러 옵셋을 결정하는 단계; Comprising: on the basis of the Doppler frequency of the first the measurement data and the Doppler frequency of the first point acquired in the first time calculation, determines the Doppler offset; 및 상기 도플러 옵셋과 상기 산출된 제2 시점의 도플러 주파수를 토대로, 상기 제2 시점에 해당하는 도플러 예측값을 생성하는 단계를 포함할 수 있다. And it may include the step of, based on the Doppler frequency of the second point in time the calculated as the Doppler offset, and generates a Doppler prediction value corresponding to the second time point. 상기 반송파 위상 예측값을 생성하는 단계는 전체 예측 시간 동안 생성할 총 샘플수를 산출하는 단계; Generating a carrier phase wherein the predicted value comprises calculating the total number of samples to be generated for the whole prediction time; 상기 총 샘플 수만큼 샘플 반영 시간 간격으로 반송파 증가값들을 누적하여, 상기 전체 예측 시간 동안의 최종 위상값을 산출하는 단계; A step of accumulating the carrier increased value, calculating a final phase value during the entire time predicted by the total number of samples reflected by the sample time interval; 및 상기 최종 위상값과 상기 제1 시점의 측정 데이터에 포함된 반송파 위상값을 더하여 상기 반송파 위상 예측값을 생성하는 단계를 포함할 수 있다. And may be in addition to the carrier phase values ​​contained in the measured data of the last phase value and the first point in time it includes the step of generating the carrier phase predicted value. 상기 반송파 증가값은 상기 제1 시점에 획득한 상기 측정 데이터의 도플러 주파수를 토대로 산출된 상기 제1 시점의 반송파 증가값과, 상기 산출된 제2 시점의 도플러 주파수를 토대로 산출된 상기 제2 시점의 반송파 증가값을 포함할 수 있다. The carrier increased value of the second time was determined on the basis of the Doppler frequency of the first second time the carrier increases the value and the calculation of the time calculated based on the Doppler frequency of the measurement data obtained for the first time It may include increasing the carrier value. 상기 총 샘플수를 산출하는 단계는 하나의 반송파 증가값이 유지되는 샘플 반영 시간을 산출하는 단계; Calculating the total number of samples comprises the steps of: calculating a time for which the sample reflected a carrier increases the value of the maintenance; 및 상기 샘플 반영 시간 동안 반영할 샘플 수와 상기 제1 시점 및 제2 시점의 반송파 증가값을 반영할 샘플 수를 토대로 상기 총 샘플수를 산출하는 단계를 포함할 수 있다. And may include the step of calculating the total number of samples based on the number of samples to reflect the carrier increases the value of the first point and the second point, the number of samples to be reflected while the sample reflected time. 본 발명의 다른 특징에 따른 장치는 항법 시스템에서 기만 신호의 특성을 예측하는 기만 신호 예측 장치이며, 수신되는 신호로부터 기만 신호를 검출하고, 제1 시점에서 기만 신호의 반송파 위상값을 포함하는 측정 데이터를 생성하는 기만 신호 수신 처리부; According to another feature of the invention is a deceit signal predicting apparatus for predicting the properties of deception signals from the navigation system, including the carrier phase value of deception signal detecting deception signals from the received signal, at a first time measurement data deceit signal reception processing of generating; 상기 제1 시점의 측정 데이터를 토대로, 항기만 신호를 생성하고자 하는 제2 시점에 해당하는 기만 신호의 특성--상기 특성은 반송파 위상 예측값을 포함함--을 예측하는 기만 신호 예측부; Properties of deception signals corresponding to a second time point to be created on the basis of the measurement data of the first point in time, only the signal Henderson-section deception signal prediction to predict - the characteristics including the carrier phase predicted value; 및 상기 예측된 기만 신호의 특성을 토대로 항기만 신호를 생성하는 항기만 신호 생성부를 포함한다. And a signal generating portion for generating a signal only Henderson Henderson only based on the characteristics of the predicted signal deception. 상기 기만 신호 수신 처리부는 상기 검출된 기만 신호를 추적하여 코드 및 반송파에 관련된 측정값을 생성하고, 비트 정보를 생성하는 신호 추적부; The fraud signal reception processing portion is the signal track for generating a value of a measure relating to the code and carrier to track the detected deceptive signal and generating a bit of information; 상기 측정값에 대하여 코드 추적을 수행하여, 상기 제1 시점에 대응하는 코드 위상값을 생성하는 코드 위상 측정 데이터 생성부; Wherein by performing the code tracking with respect to the measurement value, wherein the code phase measurement data generator for generating a code phase values ​​corresponding to the first point in time; 상기 측정값을 처리하여 상기 제1 시점에 대응하는 반송파 위상값을 생성하는 반송파 위상 측정 데이터 생성부; By processing the measured values ​​the first carrier phase measurement data generator for generating a carrier phase value corresponding to the first time point; 상기 신호 추적부로부터 출력되는 신호를 토대로 주파수 추적 루프를 수행하여 상기 제1 시점에 대응하는 도플러 주파수를 생성하는 도플러 측정 데이터 생성부; Doppler measurement data generator that performs a frequency tracking loop based on a signal outputted from the signal track portion generating a Doppler frequency corresponding to the first point in time; 및 상기 비트 정보를 토대로 위성 궤도력 정보를 포함하는 항법 데이터를 생성하는 항법 데이터 생성부를 포함할 수 있다. And based on the information bits may include a navigation data generation for generating navigation data including the satellite ephemeris information. 상기 기만 신호 예측부는 상기 기만 신호 수신 처리부로부터 출력되는 상기 제1 시점에 대응하는 코드 위상값, 반송파 위상값, 도플러 주파수를 포함하는 측정 데이터를 수집하는 측정 데이터 수집부; The fraud signal prediction section measured data collection unit for collecting measurement data including the code phase, carrier phase value, a Doppler frequency corresponding to the first time point outputted from the deceived signal reception processing; 상기 기만 신호 수신 처리부로부터 출력되는 항법 데이터를 수집하는 항법 데이터 수집부; Navigation data collecting unit to collect navigation data outputted from the deceived signal reception processing; 상기 측정 데이터의 도플러 주파수를 토대로 상기 제2 시점에 해당하는 도플러 예측값을 생성하는 도플러 예측부; On the basis of the Doppler frequency of the Doppler measurement data prediction unit for generating a Doppler prediction value corresponding to the second time point; 및 상기 제1 시점의 측정 데이터와 상기 도플러 예측값을 토대로, 상기 제2 시점의 반송파 위상 예측값을 생성하는 반송파 위상 예측부를 포함할 수 있다. And may include, based on the measurement data and the Doppler prediction value of the first point in time, carrier phase prediction unit for generating a carrier phase predicted value of the second time point. 상기 도플러 예측부는 상기 항법 데이터를 토대로 상기 제1 시점에 대응하는 도플러 주파수와 상기 제2 시점에 대응하는 도플러 주파수를 각각 산출하는 도플러 산출부; The Doppler prediction unit calculates a Doppler unit for calculating a Doppler frequency corresponding to the Doppler frequency and the second time point corresponding to the first point in time based on the navigation data, respectively; 상기 측정 데이터의 도플러 주파수와 상기 산출된 상기 제1 시점에 대응하는 도플러 주파수의 차이에 해당하는 도플러 옵셋을 결정하는 도플러 옵셋 결정부; Doppler offset determination unit for determining the Doppler offset corresponding to the difference between the Doppler frequency corresponding to the first point, and the calculated Doppler frequency of said measurement data; 및 상기 도플러 옵셋과 상기 산출된 상기 제2 시점에 대응하는 도플러 주파수를 토대로, 상기 도플러 예측값을 생성하는 도플러 예측 데이터 생성부를 포함할 수 있다. And it may include, based on a Doppler frequency corresponding to the second instance of time the calculated as the Doppler offset, the Doppler prediction data generating unit for generating the Doppler prediction value. 상기 반송파 위상 예측부는 전체 예측 시간 동안 생성할 총 샘플수만큼 반송파 증가값들을 누적하여, 상기 전체 예측 시간 동안의 최종 위상값을 산출하고, 상기 최종 위상값과 상기 제1 시점의 측정 데이터에 포함된 반송파 위상값을 더하여 상기 반송파 위상 예측값을 생성할 수 있다. And the carrier phase prediction unit accumulating the carrier increases the value by the total number of samples to be generated for the entire predicted time, calculating a final phase value for the total predicted time, and included in the measurement data of the last phase value and the first time point In addition the carrier phase value may generate the carrier phase predicted value. 이외에도 상기 장치는 상기 예측된 기만 신호의 특성을 검증하는 기만신호 예측 검증부를 더 포함할 수 있다. In addition, the apparatus may further include a deceit signal prediction verification to verify the properties of the predicted signal deception. 이때, 상기 항기만 신호 생성부는 상기 예측된 기만 신호의 특성에 대한 검증이 이루어진 경우에 상기 제2 시점보다 이후에 위치되는 제3 시점에 대하여 예측되는 기만 신호 특성을 토대로 상기 항기만 신호를 생성할 수 있다. At this time, only the Henderson signal generator to generate a signal only the Henderson, based on a signal characteristic deception predicted with respect to the third point, when the verification of the properties of the predicted deception signals consisting positioned later than the second time point can. 상기 기만 신호 예측 검증부는 상기 제2 시점에서 수신되는 기만 신호에 대하여 측정되는 반송파 위상값과 상기 제2 시점의 반송파 위상 예측값의 차이값이 미리 설정된 허용 임계값보다 작은 경우에, 상기 예측된 기만 신호의 특성이 정상적으로 예측된 것으로 검증할 수 있다. The fraud signal prediction verification unit if the first is less than the allowable difference value for the carrier phase predicted value of the second point in time and carrier phase values ​​that are measured for a deceit signal received at the second point in time a preset threshold value, the predicted deception signals this characteristic can be verified as correctly predicted. 본 발명의 실시 예에 의하면, 항법 시스템에서 기만 신호원으로부터 영향을 받는 것에 대응하기 위한 항기만 신호 생성시, 기만 신호에 대한 특성을 파악하고 기만 신호의 특성 파라메터를 정확하게 예측할 수 있다. According to an embodiment of the present invention, it is possible only when the signal generated Henderson to correspond to the affected from deception signal source in a navigation system, identifying the properties for the deceit signal and accurately predict the properties parameter of deception signals. 이에 따라, 항기만 신호를 생성하는 미래 시점에 대응하는 기만 신호의 특성을 정확하게 예측할 수 있으며, 예측된 기만 신호를 토대로 정확한 항기만 신호를 생성함으로써 기만 신호를 효율적으로 제거할 수 있다. Accordingly, Henderson only can accurately predict the properties of deception signals corresponding to the future point in time to generate a signal, it is possible to effectively eliminate a fraud signal by generating a signal on the basis of the Henderson only accurate prediction signal deception. 도 1은 기만 신호 처리 시점과 항기만 신호 생성 시점의 위상 차이를 나타낸 도이다. 1 is a diagram showing the phase difference signal generation time only deceptive signal processing time and Henderson. 도 2는 본 발명의 실시 예에 따른 기만 신호 예측 장치의 구조를 나타낸 도이다. 2 is a diagram showing the structure of a deceit signal predicting apparatus according to an embodiment of the present invention. 도 3은 본 발명의 실시 예에 따른 기만 신호 예측 장치의 기만 신호 수신 처리부의 구조를 나타낸 도이다. 3 is a diagram showing the structure of a deceit signal reception processing of deception signals prediction apparatus according to an embodiment of the invention. 도 4는 본 발명의 실시 예에 따른 기만 신호 예측 장치의 기만 신호 예측부의 구조를 나타낸 도이다. 4 is a diagram showing a structure deceit signal prediction section of deception signals prediction apparatus according to an embodiment of the invention. 도 5는 본 발명의 실시 예에 따른 기만 신호 예측부의 도플러 예측부의 구조를 나타낸 도이다. 5 is a diagram showing a Doppler prediction unit structure deception signals prediction unit according to an embodiment of the present invention. 도 6은 본 발명 실시 예에 따른 기만 신호 예측 방법의 흐름도이다. Figure 6 is a flow diagram of a deceit signal prediction method according to the invention embodiment. 도 7은 본 발명의 실시 예에 따른 기만 신호 예측 방법에서의 반송파 위상 예측 과정을 나타낸 흐름도이다. 7 is a flowchart illustrating a carrier phase prediction process in the prediction signal deception method according to an embodiment of the invention. 도 8은 기만 신호 측정 시점과 항기만 신호 생성 시점과의 관계를 나타낸 도이다. 8 is a diagram showing the relationship between the generated timing signal only deceptive signal measurement point and Henderson. 도 9는 본 발명의 실시 예에 따른 반송파 위상 예측부가 반송파 위상 예측 과정을 수행하는 것을 나타낸 도이다. 9 is a view illustrating performing a carrier phase prediction additional carrier phase prediction process according to an embodiment of the present invention. 도 10은 본 발명의 실시 예에 따른 기만 신호 예측 방법에서 검증 및 항기만 신호 생성 과정을 구체적으로 나타낸 흐름도이다. 10 is a flowchart specifically showing the process of verification and signaling only in Henderson deception signal prediction method according to an embodiment of the invention. 아래에서는 첨부한 도면을 참고로 하여 본 발명의 실시 예에 대하여 본 발명이 속하는 기술 분야에서 통상의 지식을 가진 자가 용이하게 실시할 수 있도록 상세히 설명한다. In the following detailed description that the present invention can be easily implemented by those of ordinary skill, in which with respect to the embodiment of the present invention with reference to the accompanying drawings. 그러나 본 발명은 여러 가지 상이한 형태로 구현될 수 있으며 여기에서 설명하는 실시 예에 한정되지 않는다. However, the invention is not to be implemented in many different forms and limited to the embodiments set forth herein. 그리고 도면에서 본 발명을 명확하게 설명하기 위해서 설명과 관계없는 부분은 생략하였으며, 명세서 전체를 통하여 유사한 부분에 대해서는 유사한 도면 부호를 붙였다. And the part not related to the description in order to clearly describe the present invention in the figures was in nature and not restrictive. Like reference numerals designate like elements throughout the specification. 명세서 및 청구범위 전체에서, 어떤 부분이 어떤 구성 요소를 '포함'한다고 할 때, 이는 특별히 반대되는 기재가 없는 한 다른 구성요소를 제외하는 것이 아니라 다른 구성 요소를 더 포함할 수 있는 것을 의미한다. Throughout the specification and claims, assuming that any part "includes" a certain component, which is not to exclude other components not specifically against the substrate is meant to further include other components. 이하, 본 발명의 실시 예에 따른 기만 신호 예측 방법 및 그 장치에 대하여 설명한다. Hereinafter, a deceit signal prediction method and an apparatus according to an embodiment of the invention. 위성 항법 시스템에서, 거짓 정보를 항법 수신 장치로 제공하는 기만 신호를 제거하기 위하여 항기만 신호를 생성하는데, 기만 신호를 처리하고 관련 정보를 추출하는 시점과 해당 정보를 이용하여 항기만 신호를 생성하는 시점에 차이가 발생한다. In the navigation system, to generate a signal only Henderson to remove the deception signals to provide false information to a navigation receiver, with the start point and the information for processing deception signals and extracts the information for generating only Henderson signal there occurs a difference in time. 기만 신호를 처리하여 정보를 획득한 시점은 기만 신호를 생성하는 시점보다 과거의 시점이 되는데, 첨부한 도 1에서와 같이, 시간에 따라 신호의 반송파 위상 정보가 변화된다. There is a process the fraud signal point in the past than the time of the time when obtaining the information signal generates a fraud, as shown in the accompanying Figure 1, the carrier phase information of the signal is changed with time. 그러므로 기만 신호 처리 시점에서 획득한 반송파의 위상 정보(Fphase)를 토대로 미래의 항기만 신호를 생성할 시점에서의 기만 신호 특성을 정확히 예측해야 한다. Therefore, it should accurately predict the signal characteristic at the time of deception to generate a signal only in the future on the basis of the Henderson-phase information (Fphase) of the carrier obtained in the signal processing time fraud. 만약 정확한 예측이 이루어지지 않으면 항기만 신호 생성은 수신 장치에 또 다른 오염된 신호원으로 작용할 수 있기 때문이다. If the prediction is accurate only be achieved Henderson signal generated is because it can serve as another contaminated signal source to the receiver. 따라서 본 발명의 실시 예에서는 기만 신호의 특성 예측시, 반송파 위상을 정확히 예측한다. Thus, in the embodiment of the present invention, when predicting properties of deception signals to accurately predict the carrier phase. 첨부한 도 2에서와 같이, 본 발명의 실시 예에 따른 기만 신호 예측 장치(100)는 기만 신호 수신 처리부(110), 기만 신호 예측부(120), 기만 신호 계측 검증부(130), 항기만 신호 생성부(140)를 포함한다. As in FIG accompanying 2, fraud according to an embodiment of the invention the signal prediction device 100 is deceived signal reception processing unit 110, a deceit signal prediction section 120, a deceit signal measurement verification unit 130, only Henderson and a signal generator 140. 기만 신호 수신 처리부(110)는 수신 신호로부터 기만 신호를 검출하고, 검출된 기만 수신하고, 수신된 기만 신호를 검출한 후 기만된 PRN(pseudo random noise)에 해당하는 신호를 처리하여 항법 데이터 및 측정 데이터를 생성한다. Deceit signal reception processing section 110 detects a fraud signal from the received signal, it received deceit is detected, and after detecting the received deception signals deceive a PRN (pseudo random noise) navigation data and measurement processes the corresponding signals to the It generates data. 기만 신호 예측부(120)는 기만 신호 수신 처리부(110)에서 생성한 항법 데이터와 측정 데이터를 이용하여 항기만 신호를 생성할 시점에서의 기만 신호의 특성을 예측한다. Deceit signal prediction section 120 predicts the properties of deception signals in time to generate a signal only Henderson using the navigation data and the measurement data generated by the deceived signal reception processing section 110. 여기서 예측되는 기만 신호의 특성 즉, 예측값은 반송파 위상을 포함하며, 이외에도 코드 위상을 더 포함한다. Properties of deception signals predict where that is, the predicted value comprising a carrier phase, in addition further comprise a code phase. 기만 신호 예측 검증부(130)는 기만 신호 예측부(120)에서 예측한 기만 신호의 특성에 해당하는 예측값이 타당한지를 검증한다. Deceit signal prediction verification unit 130 verifies whether or not the proper predicted value that corresponds to the characteristics of the signal predicted by the deception deceit signal predictor 120. The 특히, 기만 신호 예측 검증부(130)는 예측된 반송파 위상의 값이 타당한지를 검증한다. In particular, the deception signal prediction verification unit 130 verifies whether or not the value of the estimated carrier phase proper. 항기만 신호 생성부(140)는 기만 신호 예측 검증부(130)의 검증 결과, 예측된 기만 신호의 예측값이 적절한 값으로 판단되면, 기만 신호 제거를 위한 항기만 신호를 생성한다. When Henderson only signal generator 140 is determined by the verification result, the predicted value of the predicted signal deception appropriate value of deception signals prediction verification unit 130, and generates a signal for only Henderson deception signals removed. 이러한 구조로 이루어지는 기만 신호 예측 장치(100)에 포함되는 각 부(110~140)의 구체적인 구조에 대하여 살펴보기로 한다. Will now be made to the specific structure of deception comprising the signal structure of these prediction device for each part (110 to 140) included in (100). 기만 신호 수신 처리부(110)는 신호 추적부(111), 코드 위상 측정 데이터 생성부(112), 반송파 위상 측정 데이터 생성부(113), 도플러 측정 데이터 생성부(114), 항법 데이터 생성부(115)를 포함한다. Deceit signal reception processing unit 110 includes a signal tracking unit 111, the code phase measurement data generation unit 112, the carrier phase measurement data generation unit 113, a Doppler measurement data generator 114, a navigation data generator (115 ) a. 신호 추적부(111)는 수신 신호로부터 검출된 기만 신호를 추적하여 코드 및 반송파에 관련된 측정값을 생성하고, 비트 정보를 생성한다. Signal tracking part 111 keeps track of the fraud detection signal from the receiving signal generating a value of a measure relating to a code and a carrier wave, and generates the bit information. 코드 위상 측정 데이터 생성부(112)는 신호 추적부(111)로부터 제공되는 측정값에 대하여 코드 추적을 수행하여, 기만 신호 측정 시점에 대응하는 코드 위상값을 생성한다. Measuring code phase data generation unit 112 to perform code tracking with respect to the measured values ​​provided by the signal tracking part 111, and generates a code phase corresponding to the signal measuring point deception. 반송파 위상 측정 데이터 생성부(113)는 신호 추적부(111)로부터 제공되는 측정값을 처리하여, 기만 신호 측정 시점에 대응하는 반송파 위상값을 생성한다. Carrier phase measurement data generation unit 113 to process the measurements provided by the signal tracking part 111, and generates a carrier phase value corresponding to a fraud signal measurement time. 도플러 측정 데이터 생성부(114)는 신호 추적부(111)로부터 출력되는 신호를 토대로 주파수 추적 루프를 수행하여 도플러 주파수 값을 생성한다. Doppler measurement data generator 114 generates a Doppler frequency value by performing a frequency tracking loop based on a signal output from the signal tracking part 111. 항법 데이터 생성부(115)는 신호 추적부(111)로부터 제공되는 비트 정보를 이용하여 항법 데이터를 생성한다. Navigation data generation unit 115 generates the navigation data using the bit information supplied from the signal tracking part 111. 항법 데이터는 항법 프레임 데이터이며, 위성 궤도력 정보를 포함한다. Navigation data is a navigation frame data, and a satellite ephemeris information. 이러한 구조로 이루어지는 기만 신호 수신 처리부(110)로부터 출력되는 측정 데이터는 기만 신호 측정 시점에 대응하는 코드 위상값을 포함하는 코드 위상 정보, 반송파 위상값을 포함하는 반송파 위상 정보 그리고 도플러 주파수값을 포함하는 도플러 주파수 정보를 포함한다. Measurement data output from the deceived signal reception processing unit 110 composed of such a structure comprising a carrier phase information and the Doppler frequency value comprising a code phase information, carrier phase value comprising a code phase corresponding to a fraud signal measurement point It includes Doppler frequency information. 또한 항법 데이터는 위상 궤도력 정보를 포함하는 항법 프레임 데이터를 포함한다. In addition, the navigation data includes the navigation frame data including a phase ephemeris information. 기만 신호 예측부(120)는 도 4에서와 같이, 측정 데이터 수집부(121), 항법 데이터 수집부(122), 도플러 예측부(123), 그리고 반송파 위상 예측부(124)를 포함한다. Deceit signal prediction section 120, as shown in Figure 4, includes a measurement data acquisition unit 121, a navigation data acquisition unit 122, a Doppler predictor 123, and a carrier phase predictor 124. 측정 데이터 수집부(121)는 기만 신호 측정 시점에서 기만 신호 수신 처리부(110)로부터 출력되는 측정 데이터(코드 위상 정보, 반송파 위상 정보, 도플러 주파수 정보)를 수집한다. Measured data collection unit 121 collects the measurement data (code phase information, carrier phase information, Doppler frequency information) outputted from the deceived signal reception processing section 110 in deception signal measurement time. 항법 데이터 수집부(122)는 기만 신호 측정 시점에서 기만 신호 수신 처리부(110)로부터 출력되는 위상 궤도력 정보를 포함하는 항법 데이터를 수집한다. Navigation data collection unit 122 collects the navigation data includes a phase ephemeris information outputted from the deceived signal reception processing section 110 in deception signal measurement time. 도플러 예측부(123)는 항법 데이터 수집부(122)로부터 제공되는 항법 데이터의 위성 궤도력 정보를 이용하여, 항기만 신호 생성 시점의 도플러를 계산하고 검증하기 위한 도플러 예측값을 생성한다. Doppler predictor 123 is navigation using the ephemeris information of the navigation data provided by the data acquisition unit 122, Henderson only produces a Doppler prediction value for calculating and verifying the Doppler signal generation time. 이러한 도플러 예측부(123)는 도 4와 같은 구조로 이루어진다. This Doppler prediction unit 123 is composed of a structure shown in FIG. 4. 도플러 예측부(123)는 도플러 산출부(1231), 도플러 옵셋(offset) 결정부(1232), 그리고 도플러 예측 데이터 생성부(1233)를 포함한다. Doppler predictor 123 comprises a Doppler calculation section 1231, the Doppler offset (offset) determining unit 1232, and the Doppler prediction data generator (1233). 도플러 산출부(1231)는 입력되는 항법 데이터(예를 들어, 기만 신호 예측부(120)의 항법 데이터 수집부(122)로부터 제공될 수 있음)로부터 위성 궤도력 정보를 획득하고, 이를 이용하여 수신 신호에 대응하는 위성에 대한 위치 및 속도, 그리고 위성과 수신 장치와의 거리를 산출하고, 이를 토대로 기만 신호 측정 시점에서의 도플러 주파수와 항기만 신호 생성 시점에서의 도플러 주파수를 산출한다. The Doppler calculation section 1231 acquires the ephemeris information from (which can be provided from, for example, deceptive signal navigation data collection unit (122 of the prediction unit 120)) is input navigation data and received by using this, position and velocity of the satellite corresponding to the signal, and calculates the distance to the satellite and receiving apparatus and calculates the Doppler frequency of the signal generation time, only the Doppler frequency and Henderson at deceit signal measurement point based on this. 도플러 옵셋 결정부(1232)는 입력되는 측정 데이터(예를 들어, 기만 신호 예측부(120)의 측정 데이터 수집부(121)로부터 제공될 수 있음)에 포함된 도플러 주파수 정보와, 도플러 산출부(1231)에서 산출된 기만 신호 측정 시점의 도플러 주파수를 비교하여 주파수 옵셋 즉, 도플러 옵셋을 결정한다. Doppler offset determining unit 1232 is input the measurement data (e. G., Fraud signal may be provided from the measured data collection unit 121, the prediction unit 120), the Doppler frequency information and a Doppler calculation included in the part ( by comparing the Doppler frequency of a deceit signal measurement time calculated in 1231) to determine the frequency offset, i.e., the Doppler offset. 도플러 예측 데이터 생성부(1233)는 도플러 옵셋 결정부(1232)에서 결정된 도플러 옵셋과 도플러 산출부(1231)에서 산출된 항기만 신호 생성 시점에서의 도플러 주파수를 토대로, 도플러 예측값을 생성한다. Doppler prediction data generator (1233) is based on the Doppler frequency of the signal generated from the time calculated by the Henderson only Doppler offset and a Doppler calculation section 1231 in the determined Doppler offset determining unit 1232, and generates a Doppler prediction value. 도플러 산출부(1231)에서 위성 궤도력 정보를 토대로 산출된 기만 신호 측정 시점에서의 도플러 주파수는 이상적인 값으로, 수신 장치에서 수신된 기만 신호에 대하여 클락 신호에 따라 측정한 도플러 주파수와는 차이가 있다. The Doppler frequency is an ideal value in a deceptive signal measurement time calculated based on the ephemeris information from the Doppler calculation section 1231, a and Doppler frequency measurements in accordance with the clock signal with respect to the deceived signal received by the reception apparatus is different . 그러므로 본 발명의 실시 예에서는 실제 측정된 도플러 주파수와 이상적인 값으로 산출된 도플러 주파수에 대한 주파수 옵셋을 고려하여, 도플러 예측값을 생성한다. Therefore, in the embodiment of the present invention in consideration of the frequency offset for the Doppler frequency calculated by the actually measured Doppler frequency and the ideal value, and generates a Doppler prediction value. 한편, 기만 신호 예측부(120)의 반송파 위상 예측부(124)는 측정 데이터 수집부(121)로부터 제공되는 측정 데이터와 도플러 예측부(123)로부터 제공되는 도플러 예측값을 토대로, 항기만 신호 생성 시점의 반송파 위상 예측값을 생성한다. On the other hand, the carrier phase prediction unit 124 based on the Doppler prediction value provided by the measurement data and the Doppler prediction 123 is provided from the measured data collection unit 121, only signals generated Henderson point of deception signal predictor 120 and it generates a prediction value of the carrier phase. 반송파 위상 예측부(124)에서 수행되는 반송파 위상 예측 및 항기만 신호 생성부(140)에서 수행되는 항기만 신호 생성에 대해서는 추후에 보다 구체적으로 설명하기로 한다. For the signal generation is performed in only Henderson Henderson carrier phase prediction and only the signal generating unit 140 is performed in the carrier phase prediction unit 124 will be described more in detail later. 다음에는 이러한 구조를 토대로, 본 발명의 실시 예에 따른 기만 신호 예측 방법에 대하여 설명한다. Will now be, described deception signal prediction method according to an embodiment of the present invention on the basis of this structure. 기만 신호원으로부터 위성으로부터의 신호와 동일한 구조로 이루어지면서 항법 오차를 포함하는 기만 신호가 송신될 수 있다. As deception is done from a signal source to the same structure as that of the signal from the satellites, a deceit signal containing navigational error can be transmitted. 수신 장치의 기만 신호 예측 장치(100)는 수신된 신호로부터 기만 신호를 검출한다(S100). Deceit signal predicting apparatus 100 of the reception apparatus detects a fraud signal from the received signal (S100). 예를 들어, 기만 신호가 위성 신호보다 강한 신호로 발생된다는 점을 이용하여 신호 세기를 토대로 기만 신호를 검출할 수 있다. For example, it is possible deception signals to detect deception signals based on the signal strength using the fact that a strong signal occurs than the satellite signal. 기만 신호 예측 장치(100)는 검출된 기만 신호를 추적하여 기만 신호 측정 시점에 대응하는 측정 데이터를 생성한다(S110). Deceit signal prediction unit 100 generates measured data corresponding to the measurement point deception signals to track the detected deceptive signal (S110). 측정 데이터는 코드 위상값, 반송파 위상값, 그리고 주파수 추적 루프를 통해 획득되는 도플러 주파수 값을 포함한다. The measurement data includes the Doppler frequency value that is obtained by means of the code phase, carrier phase value, and a frequency tracking loop. 또한 기만 신호 예측 장치(100)는 기만 신호에 포함되어 있는 비트 정보를 이용하여 위상 궤도력 정보를 포함하는 항법 데이터를 생성한다(S120). Also deception signals prediction unit 100 generates the navigation data includes a phase ephemeris information using the bit information contained in deception signals (S120). 이후, 기만 신호 예측 장치(100)는 기만 신호 측정 시점에 획득한 항법 데이터의 위성 궤도력 정보를 이용하여, 수신 신호에 대응하는 위성에 대한 위치 및 속도, 그리고 위성과 수신 장치와의 거리를 산출하고, 이를 토대로 기만 신호 측정 시점에서의 도플러 주파수와 항기만 신호 생성 시점에서의 도플러 주파수를 산출한다(S130). Then, the deception signal predicting apparatus 100 by using the ephemeris information in the navigation data acquired in deception signal measurement point, calculating the position and velocity, and distance to the satellite and receiving apparatus for a satellite corresponding to the received signal and it calculates the Doppler frequency of the signal generation time, only the Doppler frequency and Henderson in deception signals based on this measurement point (S130). 그리고 기만 신호 측정 시점에 획득한 측정 데이터에 포함된 도플러 주파수 정보와 위에서 산출된 도플러 주파수를 비교하여 주파수 옵셋 즉, 도플러 옵셋을 결정한다(S140). And by comparing the Doppler frequency information and the Doppler frequency calculated above, included in the measurement data acquisition for deception signals measured and determining when a frequency offset that is, the Doppler offset (S140). 기만 신호 예측 장치(100)는 도플러 옵셋과 산출된 항기만 신호 생성 시점에서의 도플러 주파수를 토대로, 도플러 예측값을 생성한다(S150). Deceit signal predicting apparatus 100 on the basis of the Doppler frequency of the signal generated at the time when only the Henderson calculated and Doppler offsets, and generates a Doppler prediction value (S150). 또한 기만 신호 예측 장치(100)는 기만 신호 측정 시점에 획득한 측정 데이터와 도플러 예측값을 토대로, 항기만 신호 생성 시점의 반송파 위상 예측값을 생성한다. Also deception signals prediction unit 100 generates a predicted value of the carrier phase signal generation time only on the basis of the measured data and the predicted value obtained in the Doppler signal deception measurement point, Henderson. 도 7은 본 발명의 실시 예에 따른 기만 신호 예측 방법에서의 반송파 위상 예측 과정을 나타낸 흐름도이다. 7 is a flowchart illustrating a carrier phase prediction process in the prediction signal deception method according to an embodiment of the invention. 도 8은 기만 신호 측정 시점과 항기만 신호 생성 시점과의 관계를 나타낸 도이다. 8 is a diagram showing the relationship between the generated timing signal only deceptive signal measurement point and Henderson. 도 9는 본 발명의 실시 예에 따른 반송파 위상 예측부가 반송파 위상 예측 과정을 수행하는 것을 나타낸 도이다. 9 is a view illustrating performing a carrier phase prediction additional carrier phase prediction process according to an embodiment of the present invention. 는 t 시점에서 t'시점까지의 예측 시간을 나타낸다. Represents a prediction time from the time t to t 'time. 기만 신호 예측 장치(100)는 기만 신호 측정 시점 t의 시각 정보를 이용하여 미래의 항기만 신호 생성 시점 t'에서의 기만 신호 특성을 예측하고, 예측된 정보를 이용하여 항기만 신호를 생성한다. Predicting a deceit signal predicting apparatus 100 includes a signal characteristic deception in deception signals measured time t only future Henderson signal generation time t 'by using the time information, and, using the prediction information and generates only Henderson signal. 를 이용하여 다음 수학식 1과 같이, 반송파 증가값을 산출할 수 있다. 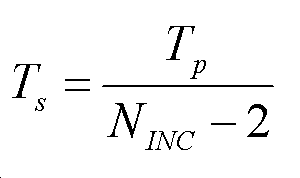 Using a can, calculate the carrier increases the value as shown in Equation 1. 는 반송파 DCO(Digitally clock oscillator)의 크기를 나타낸다. Indicates the size of the carrier DCO (Digitally clock oscillator). )을 산출한다(도 9에서 1243, 1244). ) And the (in Fig. 9 1243, 1244) calculated. 를 다음 수학식 3을 토대로 산출한다(도 9에서 1245). To be calculated based on the following equation (3) (1245 in Fig. 9). 동안의 반송파 증가값의 변화량과 동일하다. It is equal to the amount of change in the increment of the carrier while. 를 다음과 같이 산출한다(도 9에서 1246). To be calculated as follows (in FIG. 9 1246). 를 토대로 "2"회이다. It is the "second" time basis. 를 다음과 같이 산출할 수 있다(도 9에서 1247). A can be calculated as follows (in FIG. 9 1247). 를 다음과 같이 산출한다(도 9에서 1248). To be calculated as follows (in FIG. 9 1248).
) 동안 생성할 샘플수로 나타낼 수 있다(S1630). ) Can be represented by the sample can be generated for (S1630). 은 다음과 같이 산출된다(S1640). It is calculated as follows (S1640). 이 결정된다(도 9에서 1249). This is determined (in FIG. 9 1249). 사이의 정수값을 가지는 실질적인 반송파 위상값을 나타낸다(S1650). It represents a substantial carrier phase value with an integer value (S1650). 을 더하여 산출될 수 있다(도 9에서 1250, 1251). The addition can be calculated (in FIG. 9 1250, 1251). 위에 기술된 바와 같이, 기만 신호 예측 장치(100)는 기만 신호 측정 시점에 획득한 측정 데이터와 도플러 예측값을 토대로, 항기만 신호 생성 시점의 반송파 위상 예측값을 생성한 다음에, 도 6에서와 같이, 예측값들에 대하여 검증을 수행한다(S170). , Deceit signal prediction device 100 to generate a carrier phase predicted value of the signal generation time only on the basis of the measured data and the Doppler prediction value obtained in deception signal measurement time, Henderson Next, as shown in Figure 6, as described above, It performs verification with respect to the predicted value (S170). 기만 신호 예측 장치(100)는 기만 신호 처리로부터 획득한 항법 데이터와 측정 데이터를 이용하여 항기만 신호 생성 시점 (t')에 대하여 예측된 기만 신호의 특성인 반송파 위상 예측값에 대한 검증을 수행한다. Deceit signal prediction unit 100 performs the navigation data and the verification of the carrier phase predicted value characteristic of the predicted deception signals to the only Henderson using the measured data signal generation time (t ') obtained from the deceived signal processing. 검증을 위하여, 기만 신호 예측 장치(100)는 항기만 신호 생성 시점 t'에서 수신 장치가 실제로 수신한 기만 신호를 처리하여 측정 데이터를 획득하고, 항기만 신호 생성 시점 t'의 측정 데이터와 위의 예측 과정을 통하여 획득한 항기만 신호 생성 시점 t'에 대하여 예측된 예측 데이터를 비교한다. In order to verify, fraud signal predicting apparatus 100 includes a signal generation time t only Henderson "at the receiving device actually receives the deception by processing the signal obtained the measurement data, and Henderson only signal generation time t" above and the measurement data of the It compares the prediction data with respect to the predicted prediction process Henderson only signal point t 'generation obtained through. 구체적으로, 항기만 신호 생성 시점 t'에서 실제 측정한 반송파 위상값과 예측된 반송파 위상값을 비교하고, 비교 결과에 따라 예측이 정상적으로 이루어진 것으로 검증되면(S180), 실질적인 항기만 신호 생성을 위한 시점에 대응하는 기만 신호의 신호 특성을 새로이 예측한다(S190). Time for detail, when Henderson only compare actual measurements taken by the carrier phase value and the estimated carrier phase value from the time point t 'signal generator, and the prediction is verified to be made properly according to the comparison result (S180), the signal generated only substantial Henderson the newly predicted a signal characteristic of deception signals corresponding to (S190). 즉, 위의 검증 과정을 통하여 항기만 신호 생성 시점 t'은 다시 과거의 시점이 되기 때문에, 항기만 신호 생성 시점 t'에 대하여 예측된 데이터들이 타당한 것으로 검증되면, 위에 기술된 예측 과정을 토대로 미래의 새로운 항기만 신호 생성 시점 t"에 해당하는 기만 신호의 특성을 예측하여 예측값(반송파 위상값, 코드 위상 값 등)을 생성한다. That is, when the Henderson only signal generation time t through the verification of the above verified that the predicted data are valid with respect to the "is again because the time in the past, Henderson only the signal generation time t ', the future on the basis of the prediction process described above of deception for the signal generation time t "only new Henderson by predicting the characteristics of the signal to generate a predicted value (value of the carrier phase, code phase, etc.). 그리고 생성된 항기만 신호 생성 시점 t"의 예측값들을 토대로 항기만 신호를 생성한다(S200). The generated Henderson Henderson only generates only the signal based on the predicted value of the signal generation time t "(S200). 한편, 항기만 신호 생성 시점 t'의 예측값이 타당하지 않은 것으로 판단되면 다시 수신되는 기만 신호를 처리하여 측정 데이터를 생성하고 이를 토대로 항기만 신호 생성을 위한 기만 신호의 특성을 예측하는 과정을 다시 수행한다. On the other hand, perform again the process of deception predict the characteristics of the signal for when Henderson only determined that the predicted value of the signal generation time t 'that is not appropriate to handle the deception signals received regenerate the measurement data and signaling only Henderson Based on this do. 위에 기술된 바와 같이, 기만 신호 측정 시점 t에서 기만 신호를 처리하여 획득한 측정 데이터와 항법 데이터를 토대로 항기만 신호 생성 시점 t'에서의 기만 신호 특성을 예측하여 기만 신호 예측값(반송파 위상 예측값 등)을 생성한 다음에(S300~S330), 첨부한 도 9에서와 같이, 기만 신호 예측 장치(100)는 항기만 신호 생성 시점 t'에서 실제 수신되는 기만 신호를 처리하여 측정 데이터 및 항법 데이터를 생성한다(S340, S350). As described above, deception signals on the basis of the measurement data and the navigation data acquired by processing the deceived signal in the measurement time t Henderson only deceptive to predict the signal characteristic deception in the signal generation time t 'signal a predicted value (the carrier phase predicted value, and so on) then in (S300 ~ S330), attached as shown in Figure 9, the deception signal predicting apparatus 100 generates the actual received measurement data and navigation data by processing the deception signals from the signal generation time t 'only Henderson generate and (S340, S350). 설명의 편의상, 기만 신호 측정 시점 t에서 획득한 측정 데이터 및 항법 데이터를 제1 측정 시점의 측정 데이터 및 항법 데이터라고 명명할 수 있으며, 항기만 신호 생성 시점 t'에서 획득한 측정 데이터 및 항법 데이터를 제2 측정 시점의 측정 데이터 및 항법 데이터라고 명명할 수 있다. For convenience, the measured data and the navigation data acquired from the deception signals measured by the measurement data and the navigation data of the first measuring data, and navigation data that named can, and Henderson only signal generation time t 'to the time point obtained at the time t in the described 2 it can be labeled measurement data and navigation data of the measuring point. 그리고, 기만 신호 예측 장치(100)는 제2 측정 시점의 측정 데이터(특히, 반송파 위상값)와 항기만 신호 생성 시점 t'에 대하여 예측한 기만 신호 예측값(특히, 반송파 위상 예측값)을 비교하여, 그 차이값이 미리 설정된 허용 임계값보다 작은지를 판단한다(S360, S370). And, by comparing the deceit signal predicting apparatus 100 includes a second measurement measurement data of the start point (in particular, the carrier phase value) and Henderson only deceive a prediction with respect to time t 'signal generating signal the predicted value (in particular, the carrier phase predicted value), the difference value determines whether less than a predetermined acceptable threshold (S360, S370). 그 차이값이 허용 임계값보다 클 경우에는 기만 신호 특성 예측이 정상적으로 이루어지지 않은 것으로 판단하고, t 시점을 이동한 후 다시 기만 신호 측정 및 예측을 새로 수행한다(S380). If the difference is greater than the allowable threshold value, and newly performs the fraud signal characteristic estimation is judged that a not operating normally, and the movement time t after the deception signal measurement and prediction again (S380). 한편, 기만 신호 예측 장치(100)는 두 값의 차이값이 허용 임계값보다 작을 경우에는 경우에는 기만 신호 특성 예측이 정상적으로 이루어진 것으로 판단하고, t' 시점의 기만 신호 측정 데이터 및 항법 데이터를 이용하여 새로운 항기만 신호 생성 시점 t"에 대한 기만 신호의 특성을 예측하여 새로운 기만 신호 예측값(반송파 위상 예측값 등)을 생성한다(S390, S400). 그리고 새로운 항기만 신호 생성 시점 t"에 대하여 생성된 기만 신호 예측값을 이용하여 t" 시점에서 항기만 신호를 생성한다(S410). On the other hand, deceit signal predicting apparatus 100 includes a case when the difference of the two values ​​is less than the allowable threshold value, and determines that deceive the signal characteristic estimation made properly, t 'using the deception signal measurement data and the navigation data at the time new Henderson only the signal generation time t "generate by predicting the characteristics of deception signals for new deception signals predicted value (the carrier phase predicted value, etc.) (S390, S400). 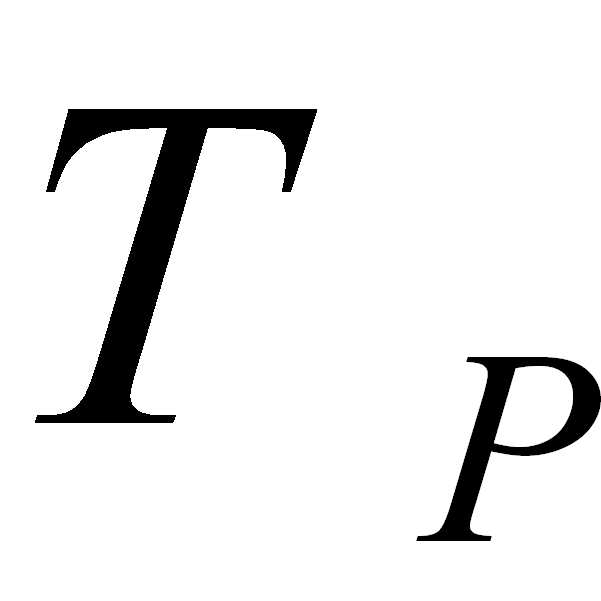 the signal generation time t only new Henderson" generated deceptive with respect to the using a predicted value signal t "generates only Henderson signal at the time (S410). 본 발명의 실시 예는 이상에서 설명한 장치 및/또는 방법을 통해서만 구현이 되는 것은 아니며, 본 발명의 실시예의 구성에 대응하는 기능을 실현하기 위한 프로그램, 그 프로그램이 기록된 기록 매체 등을 통해 구현될 수도 있으며, 이러한 구현은 앞서 설명한 실시예의 기재로부터 본 발명이 속하는 기술분야의 전문가라면 쉽게 구현할 수 있는 것이다. Embodiment of the present invention is not be implemented only by an apparatus and / or method described above, be implemented through a program, and the program is a recording medium for realizing functions corresponding to the configuration of the embodiments and also, such an implementation is from the described device, if expert in the art to which the invention pertains will easily implemented. 이상에서 본 발명의 실시 예에 대하여 상세하게 설명하였지만 본 발명의 권리 범위는 이에 한정되는 것은 아니고 다음의 청구범위에서 정의하고 있는 본 발명의 기본 개념을 이용한 사업자의 여러 변형 및 개량 형태 또한 본 발명의 권리 범위에 속하는 것이다. Although detailed description will be given of an embodiment of the present invention in the above scope of the present invention is not limited to this number of variations and modifications in the form of carriers with the basic concept of the invention as defined in the following claims In addition, according to the present invention It will belong to the scope. 상기 제2 시점이 상기 제1 시점 이후에 위치되는, 기만 신호 예측 방법. , Deceit signal prediction method and the second point, which is located after the first time point. 상기 항기만 신호를 생성하는 단계는 상기 예측된 기만 신호의 특성에 대한 검증이 이루어진 경우에 상기 항기만 신호를 생성하는, 기만 신호 예측 방법. Step wherein when the verification of the properties of the prediction signal fraud consisting in generating a signal only the Henderson, deceit signal prediction method that generates only the signal Henderson. 를 포함하는 기만 신호 예측 방법. Deception comprising a signal prediction method. 상기 제3 시점이 상기 제2 시점 이후에 위치되는, 기만 신호 예측 방법. , Deceit signal predicting method of the third point, which is located after the second time point. 를 포함하는, 기만 신호 예측 방법. , Deceit signal prediction method comprising the. 상기 제1 시점에 획득한 상기 측정 데이터의 도플러 주파수를 토대로 산출된 상기 제1 시점의 반송파 증가값과, 상기 산출된 제2 시점의 도플러 주파수를 토대로 산출된 상기 제2 시점의 반송파 증가값을 포함하는, 기만 신호 예측 방법. Comprising a carrier increases the value of the second time point calculated based on the carrier increases the value of the first time was determined on the basis of the Doppler frequency of the measurement data obtained for the first time, a Doppler frequency of the second point in time the calculated , deceit signal prediction method. 를 포함하는, 기만 신호 예측 장치. , Deceit signal predicting apparatus comprising a. 상기 반송파 위상 예측부는 전체 예측 시간 동안 생성할 총 샘플수만큼 반송파 증가값들을 누적하여, 상기 전체 예측 시간 동안의 최종 위상값을 산출하고, 상기 최종 위상값과 상기 제1 시점의 측정 데이터에 포함된 반송파 위상값을 더하여 상기 반송파 위상 예측값을 생성하는, 기만 신호 예측 장치. And the carrier phase prediction unit accumulating the carrier increases the value by the total number of samples to be generated for the entire predicted time, calculating a final phase value for the total predicted time, and included in the measurement data of the last phase value and the first time point In addition to a carrier phase value, deceit signal prediction device for generating the carrier phase predicted value. 상기 제1 시점에 획득한 상기 측정 데이터의 도플러 주파수를 토대로 산출된 상기 제1 시점의 반송파 증가값과, 상기 산출된 제2 시점의 도플러 주파수를 토대로 산출된 상기 제2 시점의 반송파 증가값을 포함하는, 기만 신호 예측 장치. Comprising a carrier increases the value of the second time point calculated based on the carrier increases the value of the first time was determined on the basis of the Doppler frequency of the measurement data obtained for the first time, a Doppler frequency of the second point in time the calculated , deceit signal predicting apparatus. 상기 항기만 신호 생성부는 상기 예측된 기만 신호의 특성에 대한 검증이 이루어진 경우에 상기 제2 시점보다 이후에 위치되는 제3 시점에 대하여 예측되는 기만 신호 특성을 토대로 상기 항기만 신호를 생성하는, 기만 신호 예측 장치. It produced only the Henderson signal portion deception, for generating a signal only the Henderson, based on a signal characteristic deception predicted with respect to the third point, when the verification of the properties of the predicted deception signals consisting positioned later than the second time point signal prediction device. 상기 제2 시점에서 수신되는 기만 신호에 대하여 측정되는 반송파 위상값과 상기 제2 시점의 반송파 위상 예측값의 차이값이 미리 설정된 허용 임계값보다 작은 경우에, 상기 예측된 기만 신호의 특성이 정상적으로 예측된 것으로 검증하는, 기만 신호 예측 장치. The properties of the predicted deception signals properly predict if the difference value of the carrier phase predicted value of the carrier phase value and the second time point, measured with respect to fraud signal received at the second time point is smaller than a predetermined allowable threshold, , deceit signal predicting apparatus for verifying that.